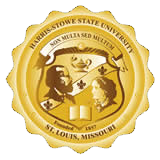 Harris-Stowe State University is interested in finding out what our alumni have been doing since graduation. By filling out the Info. Update Form, we ensure that you are update to date with the most current events happening on HSSU's campus as well you reconnect with your fellow alums.